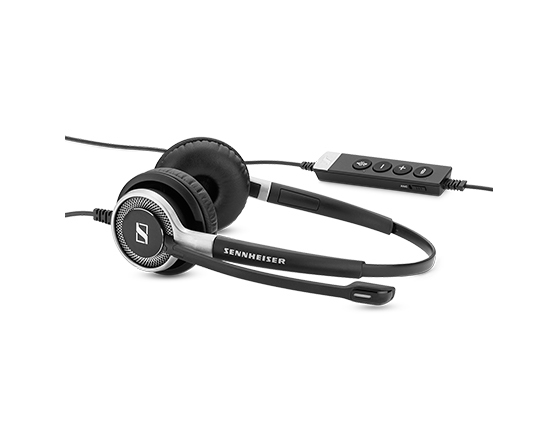 Sennheiser SC 660 ANC USB - - Century™ SC 660 ANC USB is a premium, wired headset with Active Noise Cancellation. Designed for quality-conscious contact center and office professionals requiring outstanding sound performance, convenient call handling, high-quality durable design and exceptional wearing comfort. Optimized for UC and Certified for Skype for Business. Century™ SC 660 ANC USB is a premium, wired headset with Active Noise Cancellation. Designed for quality-conscious contact center and office professionals requiring outstanding sound performance, convenient call handling, high-quality durable design and exceptional wearing comfort. Optimized for UC and Certified for Skype for Business. Thick leatherette ear pads (2 pcs) for the Century™ Mobile variants SC 6x5.